a dawning of any different. "... is the centering thought for today's meditation, which activates the power of hope in our hearts. 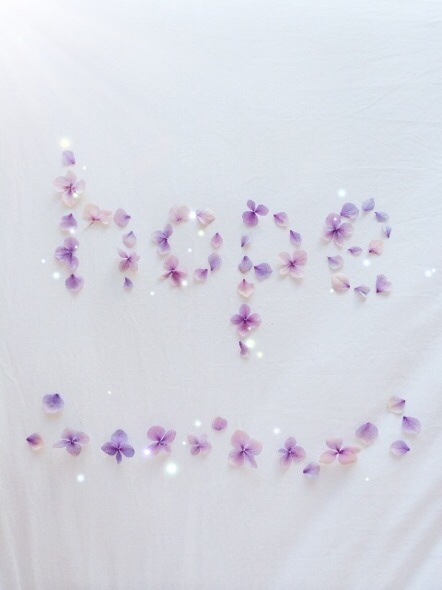 Hope is a key spiritual component of our joyful self. Spiritual hope is not an anxious wish for things to be better, instead it is the active engagement of our aspiration to the almighty force of evolution. True hope ties our individuality to the cosmos, giving us the guidance and support to move toward out hopes and dreams. This expansion and fulfilment of our aspirations is an essential joy of life. We feel happy when our love grows and our territory of influence expands, and hope is the leading edge of this expansion. Our meditation today takes us to the source of hope, the source of our expansion of consciousness. From this still center of being, we illuminate the light of hope in our life"
Some people say that we should not use the term to hope, we should intend or we should manifest, we should be, or know or do. As if to hope is not strong, not using our power. But I would disagree. And dotted in amongst are the mandalas I made for the tag #mondaymandala at Instagram too. If you visit it, you will see a whole host of inspiring ones, both with exotic blooms in faraway climes, and the more subtler smaller petals too, whatever are within reach to those in different places around the world. Shells, crystals and gems, pinecones, sticks, bark and leaves also feature. Who we connect with, when, why, how, and its affects, must be with reason, purpose and meaning. There are millions of people on earth, why do we find, connect, and form relationships, friendships, or acquaintances with some and not others? Is this predetermined, do we already know them from life before earth? Are they part of our story in ways we have forgotten, or hidden in memories from previous times that we can't recall? It is fascinating to ponder our connections and to see them full of wonder and a touch of the magical like this. Maybe we appreciate what we have now, but if we also appreciate what might have been before, it adds a further dimension. A respect for the unknown just as much as a gratitude for the known. Mandalas and their creating, connect us with the mystery underlying all of life. The indivisible flowing wholeness, the same energy that emanates all living things. The centre of which is just like the centre of our own being, our heart, where we feel love. It is this love i think, that acts like a magnetising force, and draws to us, and us to them, those people we are met to meet. My introduction to meditation in the mid 1990's was from a lady who was rather like a loving great aunt,and who explained it with such simplicity and matter of fact-ness that i took to it the way children do, with a comfortable feeling of it being something and somewhere to turn to for support and inner nourishment when i needed it most. Meditation is about connection with your spirit. It's about focusing on the light in your heart so that it can be brighter part of your day and show you the way through problems easier. It's about placing your attention on what is already there within you, and surrendering into that wiser part of yourself, letting this unfold is tremendously relaxing. Allowing what comes to mind later to be the guidance that this quiet provided the opportunity to hear. Don't mind the thoughts, they'll be there, like ripples on the surface of the water. When it's been stirred it takes a while to settle. Just know you've stopped stirring and in time the ripples settle quicker and are less. You have more time in the presence in the silence and less drifting in to thinking mind. Do not beat yourself up for thinking. Turning towards awareness of the heart has been a big big thing for me. It puts the attention away from thinking and into where the seat of our soul is. To just stop everything every need or worry or concern or pressure and spend time with inner focus on the heart, sensing it from within not thinking about its position from without. That's a help to me more than having my attention on my third eye. Turning from the worries the mind may have to the heart centre where love resides is a statement in itself. 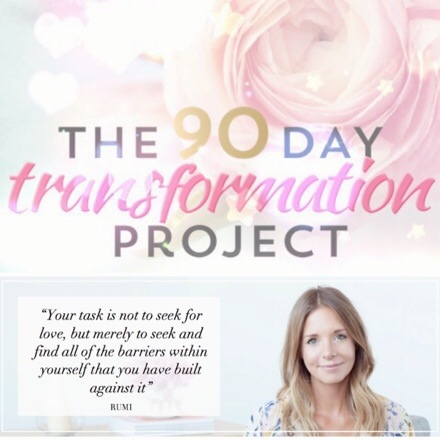 Initially i turned to meditation to help my body deeply relax, I never knew when I began that it would forward my progress in understanding who i was beyond the physical and how to make sense of questions i had regarding my life path. i didnt know the peace that could be found, that lies waiting within our hearts, just for us to turn our attention towards it. When we meditate its as if we are spending time with our spirit and with the greater sum of energy of which we are an inseperable part. I like to think of it as handing over the reigns to that part of me. Just letting her take over for awhile is deeply beneficial - a retune, placing in the missing notes, or getting the pitch back on track vibrationally, then guidance comes through easier afterward, answers to issues we have had pop to mind. Like they rose to the surface while the pond of the mind was stilled for a time. The minds chatter is one of the things that blocks us from hearing or feeling intuitively. I learnt Vipassana, and Mindfulness meditation from one of my first teachers (through books) Steven Levine. It really cultivates a "being in the now" and acceptance. The app meditation oasis is a modern day substitute. Mary Maddox has a most soothing voice and her energy I find so supportive. They are such generous souls too, giving the meditations freely as podcasts. The app is all wonderful & some real gems that I turn to. To start I recommend the breathe awareness. It's very like that which I learnt from Steven's tapes. It demystifies meditation. I really want to thank Mary and her team for all the care they place into what they do. They have a great gift for it and they share it freely. All meditation is, is about occupying the mind with say breath awareness, to quieten it. And stop the distraction from love. The main gift for me, in meditation, isn't better clarity of mind, or even relaxation of brain waves & body, it is the allowing of the spirit in the everyday. Though i use mindfulness and i have a buddha statue, i am not buddhist, nor am i christian even though i have a statue of Mary and Jesus. I am just me. (smiles) I am also not a trained teacher of meditation, these are just my personal reflections on the topic. Meditation is not about opting out or escaping life, it is about destressing and recharging, and then being in life with a greater calmness and ability to respond to emotions or happenings, from a calmer centre. It can increase our sense of loving ourselves and decrease our worries. The benefits of practice are personal, they grow. There is a week to week noticing. But then more seen with the hind sight of months or years of turning to the heart - a softening, a remembering of who you already are and who you eternally remain. The connection to your spirit strengthens, you move from being a person thinking and going through the motions of day to day living, maybe without much thought or much peace of mind - to being a spiritual being who has a stepped back awareness, watching what is unfolding, aware of the timeless energy that you are one with, beneath all the other stuff that ripples the surface. Like the sun behind the clouds. I was thinking about how my gentle photos & what i am drawn to share, may not always show all sides of my personality. How softness does not always appear strong, and strength does not always appear gentle. Yet they are the ying and the yang, the masculine and the feminine balance within us. It may not appear that I am a rebel in the traditional sense of the word, but infact there's more of that side in me than it seems. Especially if the word rebel is interchangeable with that of free...as I'm definately a free spirit (despite physical lack of freedoms) And it takes a balance of both strength and gentleness to be that way. Where it may stray in to not caring about your actions, influencing or hurting others themselves - then of course that's not me, where its about being self centred, violent, or anything like that, in order to get what you want, again no way me. That's an imbalance of strength & not true power. If you want to break out and think differently, do do do! make sure your empowerment & progress is non violent, & respectful to all life, for that life is an inseparable part of your own soul. Space Clearing is a simple method for harmonizing energy in a home or work space ... in other words it helps make a room or a space feel good. Various forms of it have been practiced in ancient India, Egypt, China, Japan and in every native culture around the world. My two fave authors on the subject are Denise Linn and Karen Kingston. There are various ways to cleanse a space. 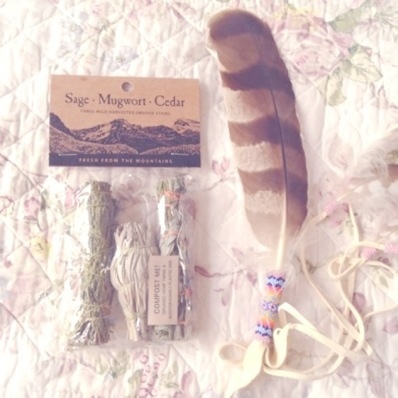 Smudge sticks (mine were from holisticshop.co.uk) are bundles of native plants that have particularly appropriate cleansing properties. Simply put the feather is used to disrupt the energy and carry the smoke from a burning bundle of herbs into the corners of the room. When using herbs in this way it's called smudging. You can also use crystals, essences, drumming or aromatherapy oils for similar effects. All work in a powerful way to uplift energy and cleanse a space of heavy emotional residue - such as after sickness or arguement. Its sort of like what we would achieve in our bodies by going on a juice fast. This technique cleanses a space, like opening windows and fresh air pouring through the environment. 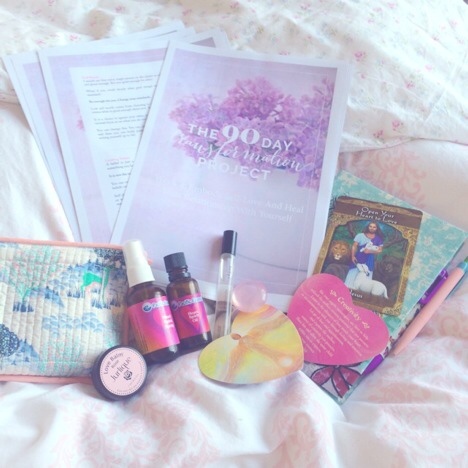 A true spring clean with a spiritual component. Afterwards its important to fill the space with light, music or positive energy through a decree or affirmation. This is a very brief overview of space clearing as I see it, for more detail refer to the books by the authors above.